On the last day of AWP, I was on a mission to find the Triangle House table because I hadn’t yet gotten my hands on their first in-print anthology, ​Through Clenched Teeth​. ​Through Clenched Teeth​ is Triangle House’s response to the election of Donald Trump, and features work by contemporary women writers such as Mira Gonzalez, Wendy Ortiz, Melissa Broder, and Chelsea Hodson. I made it within the last 10 minutes of the book fair and was greeted by Chelsea Hodson, who gave sleep masks to me and Rachelle (which we wore on the plane trip home) that advertise her upcoming essay collection, ​Tonight I’m Someone Else​, forthcoming from MacMillan. Hodson’s piece in the collection, a prose poem called “Purplish Heart,” explores brushes with fame and love. She finds a world of possibility when she meets a model at a party, who put her hand on Hodson’s shoulder and pardoned herself. “She walked/ around me and never touched me again but I felt like I could/ be famous if I stayed at the party long enough,” Hodson writes. “Why is it/ we always think we’re on the verge of something.” Proceeds from Through Clenched Teeth​ benefit Planned Parenthood. gesture zine ​is a collaboration between editor Matthew Sherling and ​The Gorilla Press ​publisher Jason Schenheit that began in 2012 as an online literary magazine. The new issue is the duo’s first in-print edition, and features work from legends Lydia Davis and Scott McClanahan alongside many ​Peach ​contributors, including Kimmy Walters, Leah Clancy, Oscar Bruno d’Artois, Jamie Mortara, and Jakob Maier. In the last week since picking up the issue, I’ve told at least six friends about Maier’s poem, “I HAVE A SKATEBOARD,” written after the Slovenian avant-garde pet Tomaž Šalamun. The poem is a stunning blend of the playful and devastating, with lines ranging from “I have accounts on various websites. I keep them until I forget my password” to “I have no one to love. With no one to love I hope to discover time.” For more from Maier, you can find some of his poems in the ​Season 1 ​archive at our website, or better yet, catch him in Buffalo (surprise!) on Saturday, April 14, reading with Jamie Mortara at our Spring Episode​. 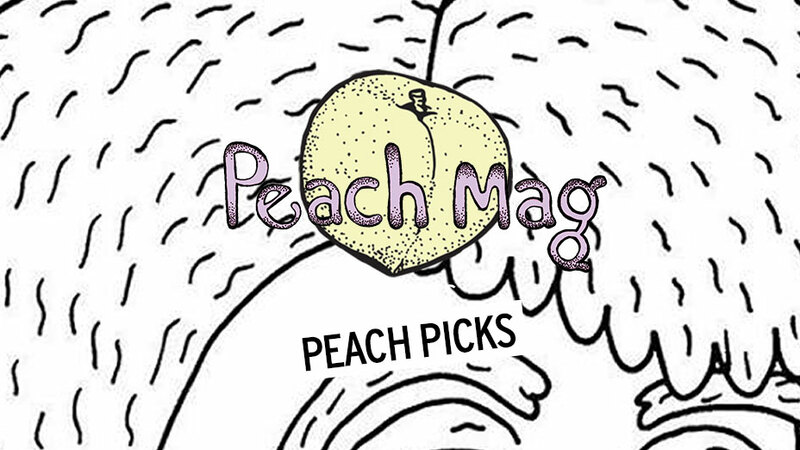 “Peach Picks” is a column of literary news and recommendations written by the editors of ​Peach Mag​,​ ​an online literary magazine based in Buffalo. For inquiries, contact the editors at peachmgzn@gmail.com.